Keeps you fresh for long with its energetic notes. Perfectly complements the personality of the man of today who is cool at the day meetings and a stud in the evenings. Turn up the heat in black and red fiery packaging that perks up your shelf. Additional Information: Stay fresh with the invigorating and long-lasting scents curated by NBA. The fragrances are specially for the men of today who like be on top of everything, be it work or play. Explore the entire range of Deodorants/Roll-ons available on Nykaa. 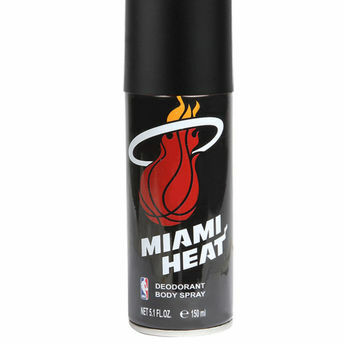 Shop more NBA products here.You can browse through the complete world of NBA Deodorants/Roll-ons .